The Veneta Hobo: Meticulously crafted, one artisan weaves the bag from start to finish to carry the same tension and pressure throughout. 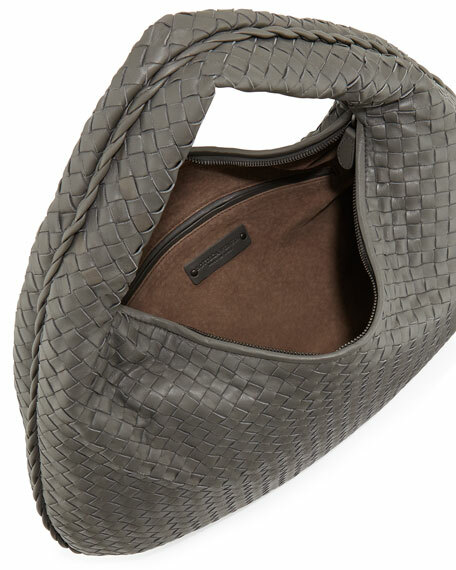 The bag's contours and seamless intrecciato weave allow the bag to mold itself to its wearer over time. 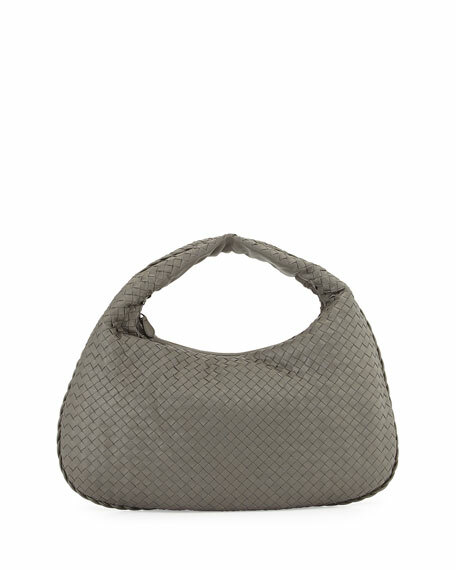 Bottega Veneta intrecciato woven lambskin hobo bag. 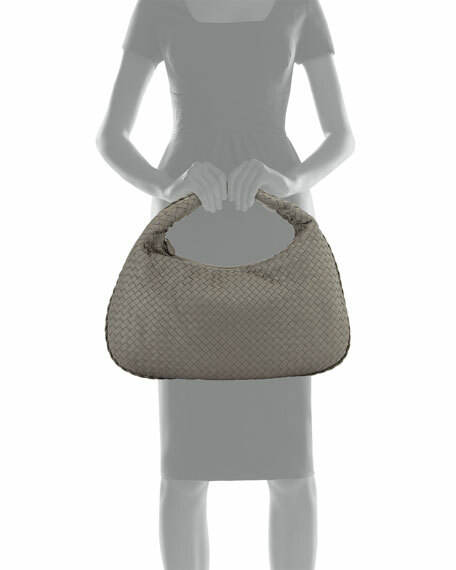 2" wide shoulder strap; 17.8" drop. Suede lining; zip and cell phone pocket. 16"H x 19"W x 4"D; bag weighs 1 lb. 3 oz.